The Vienna Center for Logic and Algorithms of TU Wien (Vienna University of Technology) calls for the nomination of authors of outstanding theses and scientific works in the field of Logic and Computer Science, in the following two categories: Outstanding Master Thesis Award and Outstanding Undergraduate Thesis Award (Bachelor thesis or equivalent, 1st cycle of the Bologna process). Computational Logic, covering theoretical and mathematical foundations such as proof theory, model theory, computability theory, Boolean satisfiability (SAT), QBF, constraint satisfaction, satisfiability modulo theories, automated deduction (resolution, refutation, theorem proving), non-classical logics (substructural logics, multi-valued logics, deontic logics, modal and temporal logics). Algorithms and Computational Complexity, including design and analysis of discrete algorithms, complexity analysis, algorithmic lower bounds, parameterized and exact algorithms, decomposition methods, approximation algorithms, randomized algorithms, algorithm engineering, as well as algorithmic game theory, computational social choice, parallel algorithms, and distributed algorithms. 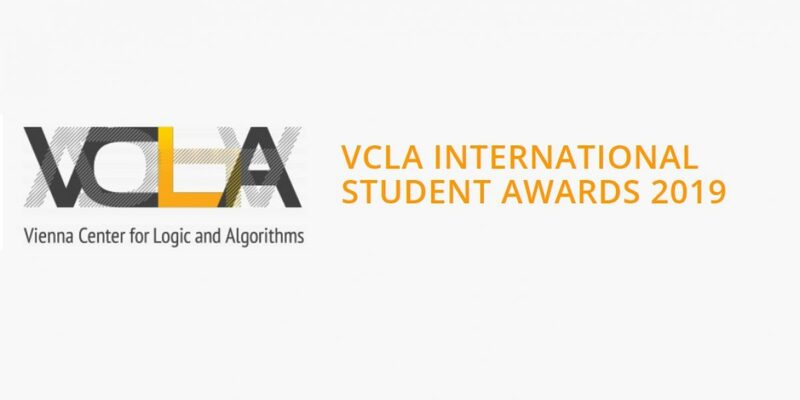 For more information, visit VCLA International Student Awards.